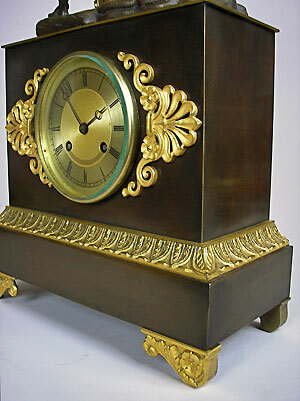 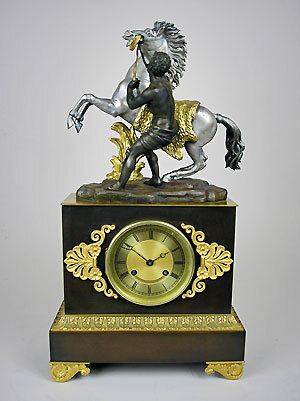 This is a gilt, silvered and patinated bronze mantel clock by de Pons of Paris, France. 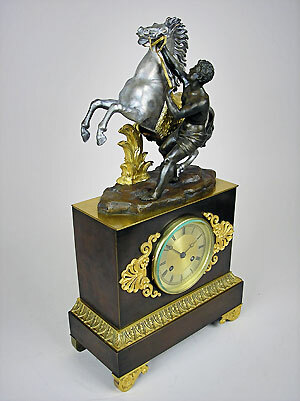 The clock has an eight-day bell-striking movement with silk suspension, a gilt and engine-turned dial and breguet hands. 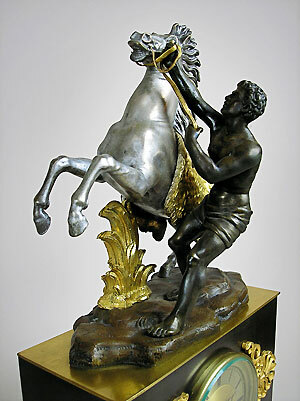 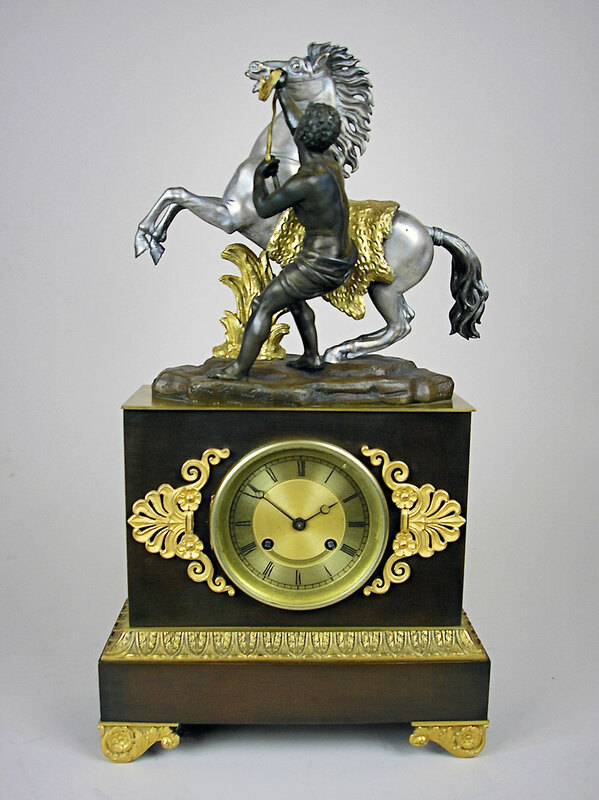 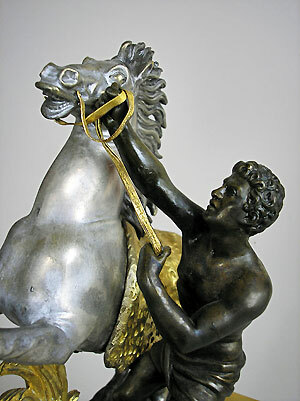 The top of the clock features a rearing horse held by a young boy.